-CNC machined from 7075 Aluminum in the USA! -Requires no sprocket bolt. Instead, it has a hardened CrMo steel insert in that matches up to the 48 splines on the crank axle for pure, direct power transfer. -Available for 22mm splined axles only. 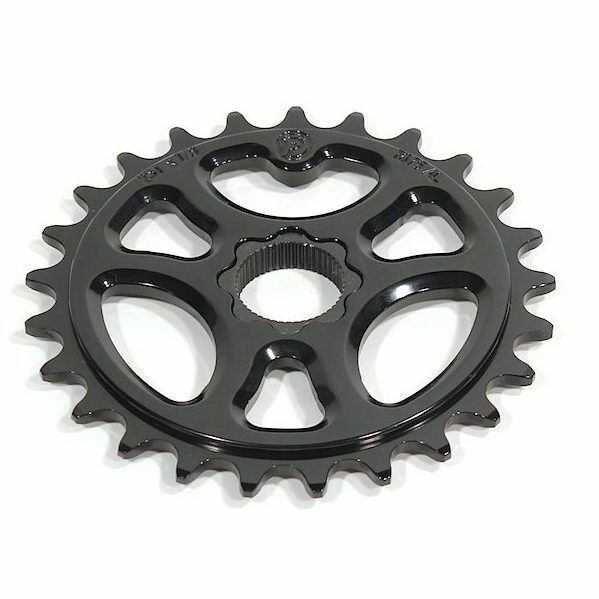 -1/8″ tooth width for use with most freestyle/street & single speed chains. Supplied with 22mm splined steel insert.